If I was giving advice to someone trying to find their way in the interior design profession (not that I'm an expert), one thing I would suggest, that I didn't do and sort of regret, is to work for a designer that you really admire. 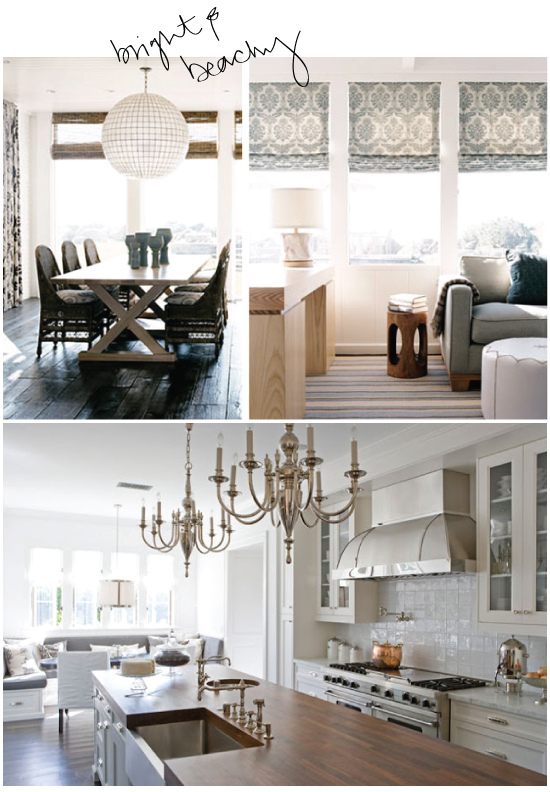 There are so many designers out there that create such beautiful interiors, each with their own unique take on design. I got a little over-anxious to start my own business shortly after graduating from design school and didn't take the opportunity to intern or assist for one of my favorite designers. To make up for it I devour design magazines, books, and designers' online portfolios and analyze every detail. I note everything from the color palette to textures and finishes, to furniture styles and layout, to the overall feel of the space. I can honestly learn something new from every designer, even if I don't relate to their personal style, but there are a few who stand out that I constantly go back to for inspiration. I want to highlight those who have been the most influential for me here on my blog. Today I wanted to share a few interiors by Tim Clarke, a Santa Monica based designer. His interiors are so pretty - I just don't know how else to describe them. They are put together so well and his palettes are always so soothing, but his spaces are never boring. His rooms seem to always have a comfortable beachy feel, which is so applicable to me since so many of my clients' homes are along the coasts of Southern California. I graduated from FIDM back in 2003 and had been in the business world for a long time - it was hard for me to get a job working for a designer because I was typically over qualified. I agree I think there is a lot we can learn for working for someone and I had the great fortune of meeting Tim when he first started his business here and he is one of my favorite LA designers. I love love love his designs. I can see why you would admire his work.